Video might be the most overlooked part of any lawyers strategy for building trust and gaining new clients. And while many lawyers think of creating tv commercials, there are so many more ways to get a better ROI. SEO, or “Search Engine Optimization” is a term that simply means that your website ranks high in search results. The higher you rank, the more likely people will find you and retain you. A study recently found just how important having the top positions on search results can be. Studies show that the top 3 search results yield approximately 66% of the clicks. If you’re on the second page, you probably won’t get found and retained, which can cost you hundreds of thousands of dollars, or can even put you out of business. Video greatly helps your SEO. A Forrester Research study found that your website is 53x more likely to be on the first page of search results by using video. This includes having videos on your website, on Youtube and sharing your videos through social media outlets. Video helps you dominate the search results with your content, not your competitors. Video helps you dominate the search results with your content, not your competitors. Video is the best way to build trust. Once people can see and hear you, they will experience not only your experience and how you can help them with their case, but it will also show that you are a real and caring person. Since we all connect with those that care for our needs, a lawyer has a unique opportunity to quickly capture trust through video content. Since most people will find you online and call your office, they are making their buying decision (to hire you) online. If you lose them online, they will never call you. If your goal is to build trust and show how you can be the best law firm to help a client, video will greatly help you showcase all your strengths. While photos are a good start, video content shows you and your firm in more clarity by showing your services, staff, office and your partners. If “a picture is worth a thousand words”, then a video must be worth a million! You, your firm and partners are the best way to market your services and a video is the best way to accomplish this. We know that Google is the #1 resource for people searching for questions about any topic and they are searching for their questions about topics that you are positioned to answer. But did you know that approximately 30% of searches on Youtube, which is owned by Google, are for question related content. People would rather watch a video that answers their question, then read an article with the same content, which is why a Video FAQ series for your law firm is critical. 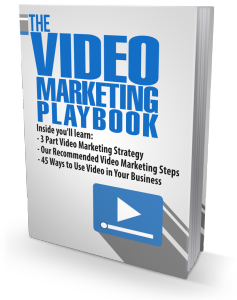 It is one of the BEST video marketing strategies and has the best ROI. Video FAQs are a great way to build your law firm’s website SEO. And since getting to the top of the search rankings is critical, and video is the best way to do this, Video FAQs are a great strategy. You probably get asked the same 20-30 questions in your law practice, why not create a series of FAQ videos to add to your website and social media marketing? These can all be filmed at once, which means it’s a minimal time investment. Google rewards websites that regularly add content to their websites, so adding one new video every 2 weeks will greatly improve your SEO. Your law firm’s website should be considered a learning center where you can teach people and build trust and video FAQs is a key piece of this strategy. There is no better way to show a prospective client that you are trustworthy and able to handle their case like an About Our Firm Video Series. This can be a series of videos that highlights each partner, gives brief insights into their experience but also shows why they got into law and how they are able to serve their clients. Most people connect on an emotional level, so it’s important to let them know that you understand their fears, want to help them through the legal process and you are the best firm to help them. While having you, your partners and staff on video is critical for building trust, you should also have client testimonials on your website. This shows how you helped serve your happy client and that they highly recommend you. By scheduling multiple testimonials on the same day, you can maximize the efficiency of the process. Video testimonials also let’s a prospective client cut through the clutter of big words and industry jargon and see how real people were helped by your firm.